Techniques and strategies in digital marketing for a new concept of communication. We transform the events into "Factories of Culture"! Workshops and meetings to inspire institutions, businesses and stakeholders. 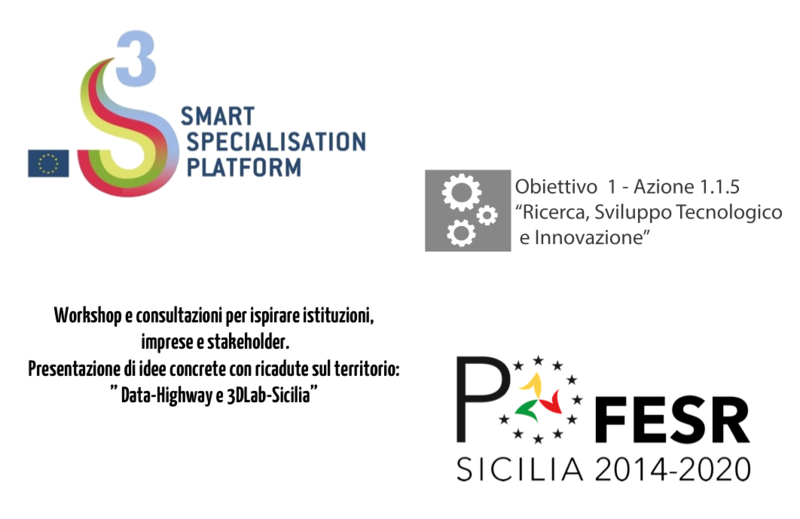 We have devised and we are promoting a series of stakeholder workshops, with reference to two Data-Highway and 3DLab-Sicilia projects, under assessment of Action 1.1.5: “Research, Technological Development and Innovation” of the PO FESR Sicily 2014- 2020, of the Regional Strategy for Smart Specialization (S3-Sicily). The stakeholder workshops involve politicians, companies, institutions, research centers and civil society in order to identify priorities and suggestions to inspire a successful spatial development in Sicily. Each event ends with an open debate on what has been discussed in order to collect further starting points, ideas and insights, with a series of interviews for a disseminative video which will be published later on the websites and on the social channels upon request of those among the participants. 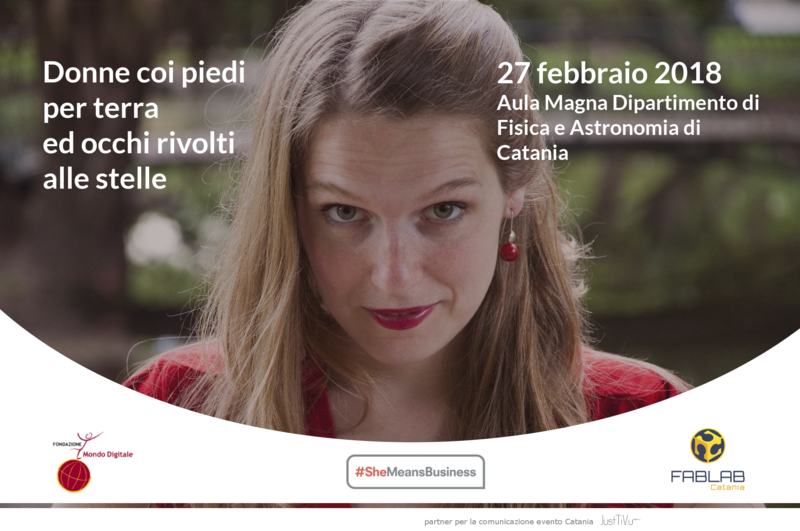 She Means Business is a Facebook project, implemented in Italy with the collaboration of the “Fondazione Mondo Digitale” (Digital World Foundation), to promote female entrepreneurship. The Fablab Catania has been active to bring the training project on the Sicilian territory along with PI4, Agency of Scientific and Technological Communication, and togheter they will coordinate the Sicilian stage which will be held on February 27, 2018 at the University of Catania in the Department of Physics and Astronomy. EVOSiculo 2017 – An event to deepen the relationship between oil, territory and consumers. Building a cultural path that leads to rediscover the identity of the Sicilian territory in order to enhance the excellence of our products. Overcoming the distance between genders in technology and attract young women to the IT sector. It is important to provide examples of success and support the women involved, encouraging them to seize these opportunities. With “Fiera delle Idee” we wanted to create an opportunity for a pro-active meeting between supply and demand in relation to research and innovation in order to improve the creation of project proposals for the next notice for the PO-FESR 2014-2020. Agenda of the day and material viewable here!